As I read their five books, I realized that I was connecting with a source of wisdom and knowledge regarding the workings of the greater universe that was more profound than anything I had previously been exposed to. It revealed information about events in our cosmos outside any recorded history or geological evidence available to humankind. Sacred Scriptures and history itself tell us that Earthlings have been visited by great beings all down through the ages, and that divine wisdom and glad tidings have come to us at critical times, such as these, through spiritual beings other than the likes of Jesus, Buddha and Mohamed (all of whom some believe were incarnations of the same Christ spirit). As we celebrate the birth of the Christ child again, is it not appropriate to celebrate as jubilantly, and with profound gratitude, the visitations of all great beings who have come—and who are come even today—carrying tidings of great joy, love and peace to Earthlings from the Realms of Light? Without launching into a sermon here, it has intrigued me for some time that this great being spoke to his disciples from a room in his Father’s house which was very much accessible to them. His words “that where I am . . . ye may be also” are telling. There he was in full view of human beings on Earth speaking from another dimension in that moment of his ascension process wherein he indicated they “may be also.” He didn’t say “that where I will be” but “where I am.” Unless Jesus was mocking them, which I doubt he was or even would, where he was then is accessible from the third dimension where his disciples were and which he had just left. Perhaps he was in the fourth density on his way on up in his ascension process back to the seventh density—or perhaps intensity is the more accurate word to describe vibrational states, or levels, of being—from which he had “wandered” to come here and show us how to get back where we belong. What is so “out there,” then, to consider the very real possibility that Ra may well be the return of the Christ Spirit that was Jesus, Buddha and Mohamed, perhaps even the Sun God Ra who visited the Egyptians and built the Great Pyramid of Gisa (pronounced jee-za, as in Jesus) ? Is this great Archangel returning to Earth and in the process this very moment in time of revealing His presence increasingly through you and me and all incarnate souls, each one individual cells in the Body of God of Earth, in an apocalypse of light? Is the Body of Humanity being resurrected from the “valley of death” it has been passing through, yea these many millennia, by the unconditional and irresistible love this Archangel has for us? As for the “many mansions,” who’s to say they are not embodied by the Sun and the planets of this solar entity—Mercury, Venus, Earth, Mars, Jupiter, Saturn, Uranus, Neptune, and Pluto—and that the Sun is the embodiment of the seventh density? Is there a Heaven at the center of our Sol where the Archangel himself dwells and governs his Kingdom? Is the Sun our ultimate destination as we travel through the many mansions of our Father’s house? Recapping a bit, Ra is the name of a “group soul or social memory complex” who exist in the sixth density having ascended as a remnant of inhabitants of the planet Venus when Venus went through its dimensional shift from the third to the fourth density, thereafter going from one level to the next in an ascension process that has taken them to the sixth density and up to the threshold of the seventh density, wherein Oneness with the Creator is known. Seeing the need on Earth, Ra left the sixth density in order to assist humankind in its evolution of consciousness and ultimate ascension to the fourth density. They are called “Wanderers” because they wandered from their sixth-density realm of light to take on a mission in the Third and Fourth Densities. In Book One of the Law of One Series , it is stated that as many as 65 million of them are incarnate on Earth. This implies that you and I are likely one of them. It is suggested the you would know by your inner sensing that you’re a misfit in this world—“in the world but not of it.” It is estimated that there are 100 million Wanderers altogether, not all incarnate on Earth at the time. Some are dwelling in the Fourth Density, where they originate, apparently to lend a hand upward to those souls ready to ascend. It is possible, even believable, that we’ve come here from different parts of the cosmos, half divine and half human. Ra-Ta, an early incarnation of Cayce’s, incarnated as “a hybrid birth between a god and a human” who Cayce believed to be “a member of the higher-dimensional group soul Ra who volunteered for a mission on Earth, i.e. a Wanderer. Cayce in his readings said that he originated from Arcturus.” As spirit beings, why would we not be travelers throughout the cosmos incarnating on various planets in our soul evolution? I am drawn in the direction of spending a little time visiting Arcturus. Arcturus is cutting perpendicularly through the galactic disk at a tremendous rate of speed – some 150 kilometers per second. 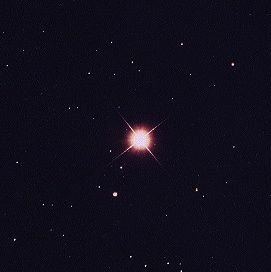 Arcturus is a great red star of the first magnitude, the brightest and oldest star in our galaxy located in the constellation of Bootes the Herdsman. Only thirty-six light years from us, its very low frequency sends out a pulse of cosmic energy every 11 years, exactly the cyclical rhythm of our sun’s solar storm activity, interestingly enough. I think of Arcturus as a giant tuning fork that travels through the galaxy “herding” its sons (or suns) through space and keeping them attuned, our Sol being one of his progeny. Our galaxy can truly be seen, as mentioned in an earlier post, as the face of a clock ticking off cycles and cosmic events. Earlier in Job 9:9 Arcturus is mentioned again in conjunction with Orion and Pleiades. The Ancients studied the heavens, navigated by the stars, and knew the science of Mazzaroth, which has to do with the movement of stars in the heavens and their influence upon human affairs on Earth. (Astrology today is based in a faint memory of that ancient and long-forgotten science. At best, it is a distorted interpretation and application of the science of Mazzaroth.) Or did these ancients have memory of their travels through interdimensional space and of their places of origins in other densities and far distant star systems? I found the following on the Internet—which doesn’t lend any particular credence to its veracity, but it does give more grist for the mill of the turning mind. 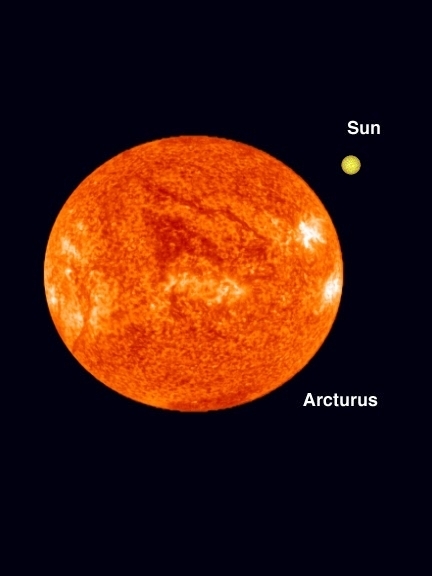 There’s a lot of interesting information on Arcturus on the Internet (the hyperlink will take you to some of it). Edgar Cayce, in his channelings, said that Arcturus is one of the most advanced civilizations in this galaxy. It exists in fifth-dimension and is the prototype for Earth’s future. Its energies work as emotional, mental, and spiritual healers for humanity. It is also an energy gateway through which humans pass during death and re-birth. It functions as a gateway station for non-physical consciousness to become accustomed to physicality. Arcturus is that through which individuals pass, when the individual must chose as to whether it is to return to the Earth-sun system, or to pass on to others. This as both a step in soul evolution. Who are the Arcturians? Why do they stay hidden? These questions are just the beginning of an array of questions that now ponder the mind of thousands of people. The Arcturians are an alien race that hails from the blue planet orbiting the red giant star Arcturus in the Bootes constellation. Arcturus orbits at approximately 36 light years from our solar system. . . . These higher beings exist mostly in a spiritual plane subjugated by thought and pure consciousness. The central belief system that sustains the Arcturian is a philosophy of healing and compassion for the universe. The Arcturian civilization is governed by elders of whom only the most spiritually advanced are included. There’s a wonderful novel by my friend Chris Foster, entitled BEARERS OF THE SUN, which tells a haunting story: “Three men and a woman born continents apart. Will they remember their magnificent heritage and fulfill their mission? Or will disaster overcome planet Earth . . . a story of man’s inner quest.” Very much to the point of this blog series, which is hopefully to jog angelic memory as to our mission and purpose here at this historic time of planetary and human evolution. Welcome Jersey! Beautiful island off the coast of France in the English Channel. Osiris and Isis live on in the “Place of the Shapers”! Or is their legend only that and nothing more? You’ll be convinced there’s more to it than story-book legend after finishing Book II of Blue Shaman. It brought me to tears of joy and utter ecstatic fulfilment of personal destiny toward the end. “Yes! this is what the Journey called ‘life’ is all about!” was my first flush of feeling. Characters the likes of Troth, Ra, Lord Osiris and the fabled goddess Isis, even Prince Setana, come alive in Hugh Malafry’s trilogy. I’ve read the first two books, “Stone of Sovereignty” and “Caverns of Ornolac,” and patiently, but with bated breath and curious anticipation, await the third, “Master of Hallows,” to see just how far the author dares take his readers in the ultimate “quest for the Holy Grail,” or “Sang Real (Royal Blood),” as Dan Brown brought to light in Angels and Demons. Unlike Dan Brown’s story, Hugh Malafry’s rendition of the fabled grail quest story makes attainment on a very intimate and personal level appear highly plausible, if tangibly possible in one’s lifetime. Is not the experience of the “oneness of the Worlds” of heaven and earth, in and through the realization of divine identity, the ultimate quest of all seekers on spiritual paths Home? Is not co-creation with “The Makers” in our history as well as in our intuited destiny? Each of us is given a remembrance of the truth of love in the “white stone of sovereignty” embodied by the pineal gland in the center of the cranium (alluded to only in the story), not only of the human species but of all living beings and entities of Gaia, so that we carry within us the memory of “The First Time.” There is a powerful lesson in the story relating to how we each enter in the holy place of our temples of light within, the key to restoring heaven on earth . . . but I’ll let you discover it for yourself. Blue Shaman is a must read for all wayfarers on the road to spiritual enlightenment and full Self-realization! More yet, it has the makings of possibly the greatest movie of the 21st Century. Heads up movie producers! Malafry’s novel is staged upon a most unusual, if unlikely, terrain that bridges this world with the “Otherworld.” The reader finds him/or herself “crossing over” the thresholds from one world to the next, in the “Inn of the Parting of the Ways” and beyond, and back again throughout the story; the main characters transitioning through what is called “death” and the regeneration of their flesh bodies, some even having access to wisdom and knowledge gained in prior incarnations. “This is how it should be” was a recurring flush of feeling for me throughout the story, a deja vu of profound depth. It was a revelation to me for sure of my own level of spiritual awakening, growth and maturity. With what character(s) I most personally identified at various stages as the story unraveled told me something about my own “progress” along the Way: where I’ve been, where I am now, and, most importantly, where I must continue to go forward toward in my own spiritual journey to full Self-realization and, more relevant, to the timely revelation (apocalypse) of the light that I am for my world, that we each are individually and collectively for our potentially magnificent world. Probably the greatest gift of Malafry’s trilogy is that of remembrance — remembrance of our past, the only “cure” for our collective amnesia that has occasioned the potential reenactment of our tragic history and the continuance of our scientific arrogance that has brought our mind-made worlds of the past down upon our heads and the heads of our women and children, wiping out entire civilizations and sinking vast continents into the waters of the oceans, risking the unthinkable just because we can. Remembrance, as well, of the “First Time” and how it will be again on planet Earth, our Home among the stars, as the Makers incarnate among us restore to our remembrance the truth of life, which is love and sacred community. Love is the Way, and this trilogy lends access to a deep longing and profound feeling of the realization of Love in the daily living of life. It is a most beautiful story magically, if with uncanny authority, told and written by one who appears to know of what he writes. I know the author personally, and his writings impress upon me what I know of his authenticity and very practical spirituality. I highly recommend Blue Shaman to my blog readers . . . and to movie makers in Hollywood. The trilogy is published by AuthorHouse, 1663 Liberty Dr.,Bloomington, Indiana, 47403, phone 800-839-8640, available online at www.authorhouse.com, as well as, and primarily, on any Amazon wedsite throughout the world.